Lately, most of my card making has been done using new supplies, stamps, dies and everything else, because I have been going mad and purchasing all the 'latest and greatest'. Anywho, I came across my old daisy punches in various sizes and idly punched out a few . . . well, then I just couldn't bring myself to throw them away, so I layered them up, stuck a stamen punch-out in the center, fluffed and sponged the petals, added a couple of punched-out leaves and voila, I had a daisy (I'd almost forgotten how quick and easy it was to grab a punch and have a flower just seconds later). Of course I now had to do something with the flower I had and below is what I finished up with. I've deliberately left it without a sentiment as I had no idea that I was going to make this card. I will make a descision when I give it to someone at a later date. I never did get that room looking any tidier . . . quite the reverse in fact, because you know what it's like when you disturb a pile of anything that has accumulated over time . . . it grows exponentially and you can never get that space back again!!??!! Isn't it fun to use your LNS (long neglected stuff) again? 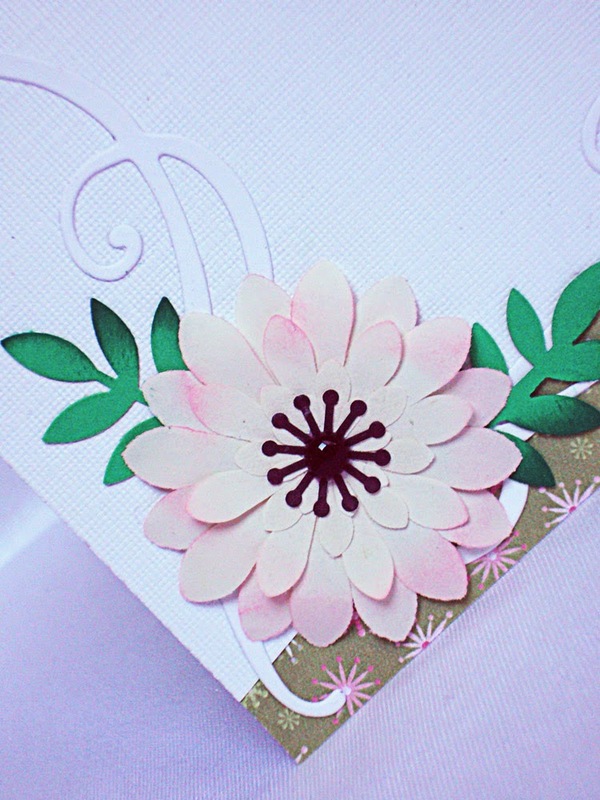 So glad you didn't throw out the punched flowers but made this wonderful card with it! Cleaning can always wait for another day. Crafting is so fun and I love that you found some oldies but goodies to play with. What a sweet card and you are so clever to save the sentiment for a later date. 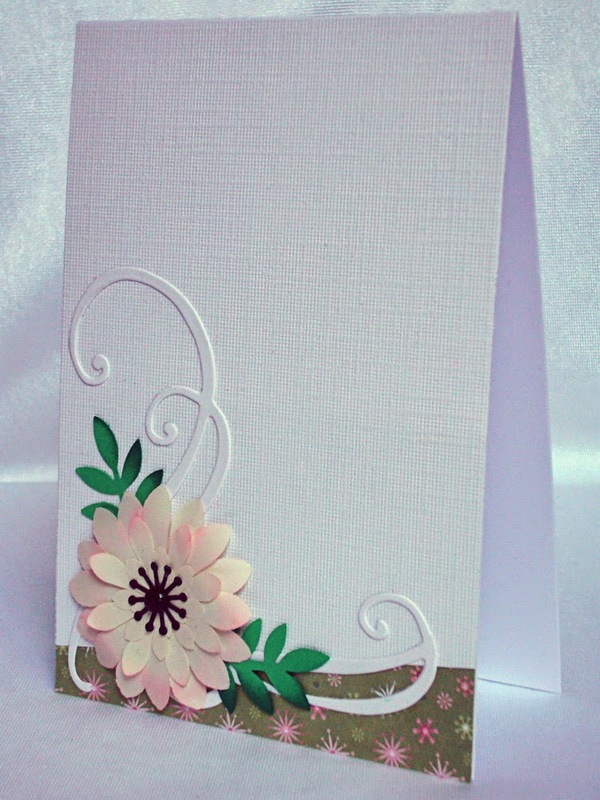 Another stunning card Hazel, I love the curved edge at the bottom, and stunning flowwers. Hazel , this is beautiful! So fun to take out the older projects ,and look ...still beautiful! Haha ,good thing the kids don't live there anymore or they might have to move out anyway. Never enough crafting space, ever! I'm eyeing my daughter's room for when she moves out and she's only eleven years old! I love your punched out daisy! 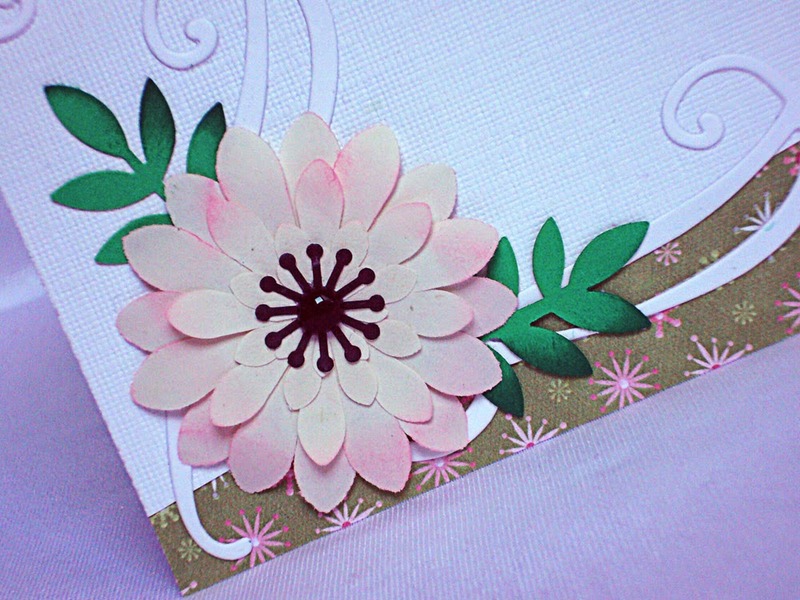 The leaves and flourish give it the perfect place to rest on your card! How wonderfully CAS this is! I love your softly colored flower! Such a pretty flower. I am still waiting for my first child (he's 20) to leave to take over that room! WOW, what a beautiful daisy you've got there, Hazel!!! Great idea to take out all the old stuff, hey!!! 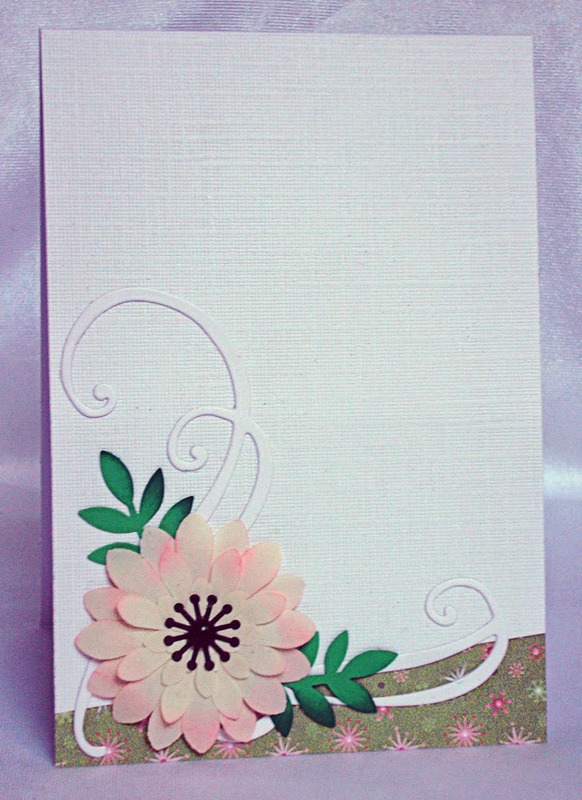 Love the strip of patterned paper at the bottom which goes so nicely with the daisy!!! 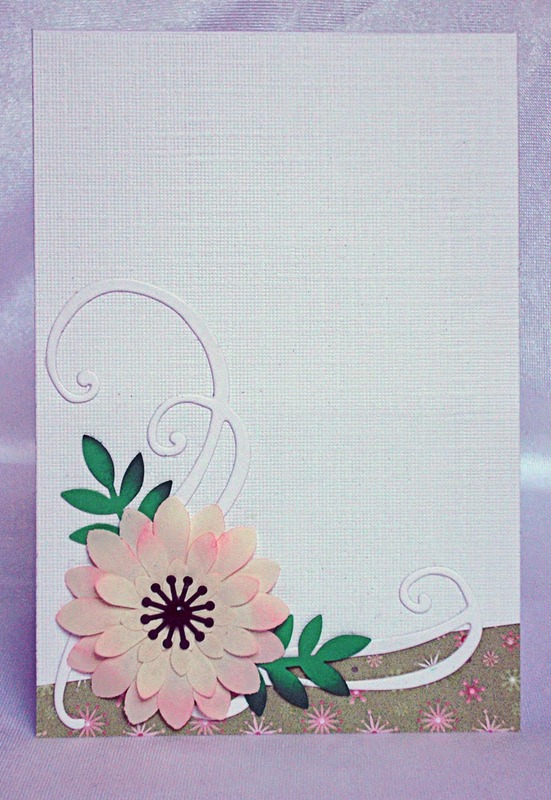 The flourish is beautiful and I love all the white space!! The texture of the white cs is great!!! Lovely card, Hazel!!! ...and don't I know about not having enough space for all your stuff ..lucky you to have another child's bedroom to move into!!!! ...move in before anyone tries to stop you!!! A CASE'D Card for Fun!